RCP provided client representation, leadership and management to the consultant team from design to contract execution, as well as superintendent and programming services during the construction phase for this iconic development designed by WOHA and Architectus. 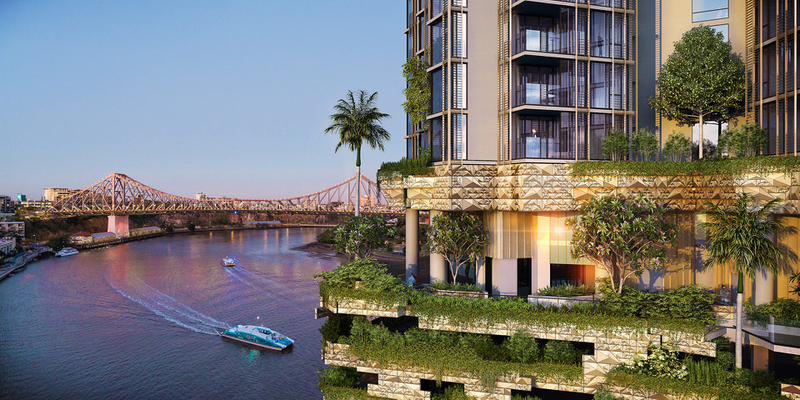 Cbus Property is redeveloping this existing commercial site into an iconic high-rise residential twin-tower, built to create a permeable, layered, subtropical appearance that includes extensive landscaping on the façade of the building. 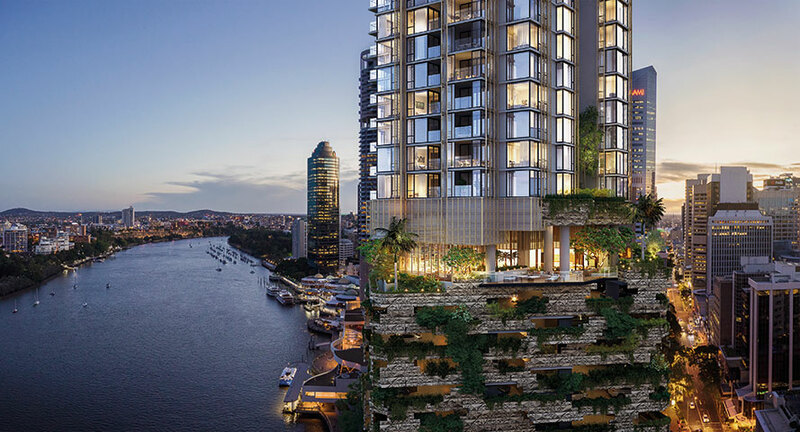 The carpark and ground plane elements of the building are inspired by the Kangaroo Point Cliffs, expressed as a strata rising from the river edge. 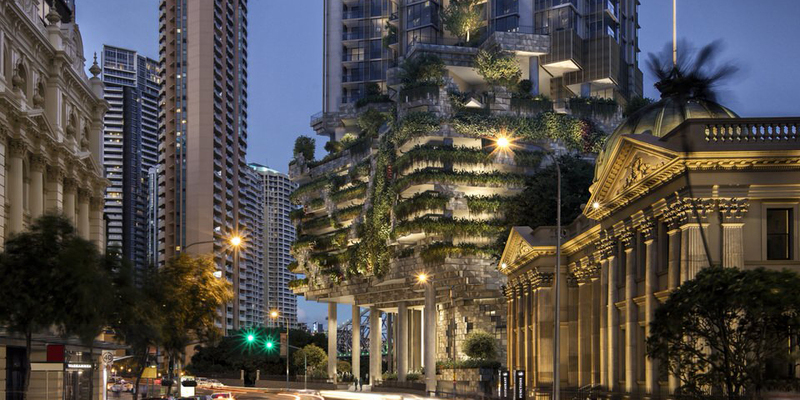 The towers rise above the abstract landform with clusters of screened pavilions forming fluted columns, encased by the open floating gardens. 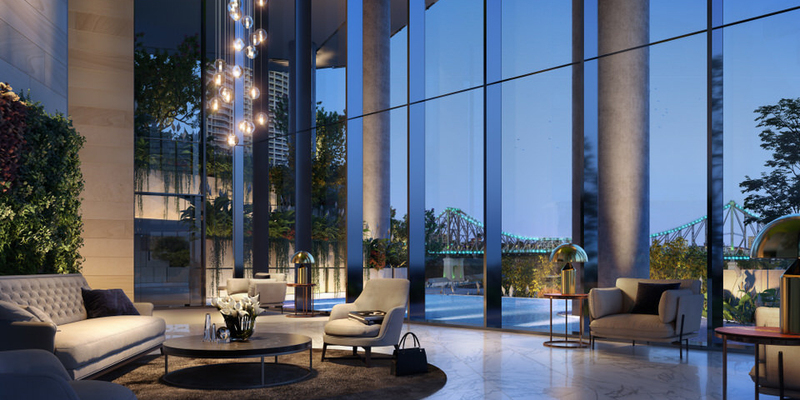 The building design provides a link between the city streets and river, allowing the free flow of pedestrians and offering new public walkways and gathering places. 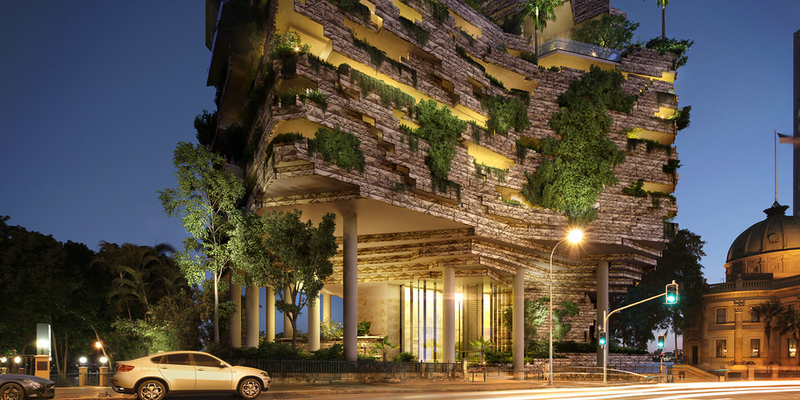 A design and construct contractor has been appointed for this project. Construction is currently underway and is due for completion late 2020.